What do you put on each of your pages? What do your chapters look like? What does your book reveal about you? How do you eat your grapefruit??? The Iron Hippie and I eat our grapefruit VERY differently, but we aren’t the only ones. We actually had a conversation with 3 of our closest friends to see how they eat their grapefruit…lo and behold…we all eat our grapefruit differently. The Iron Hippie peels the whole grapefruit and eats each segment separately. M peels the whole grapefruit and eats it in quarter sections. A buys the grapefruit already peeled, segmented and stored in grapefruit juice. K cuts the grapefruit in half and uses a grapefruit spoon to segment each piece out. I cut the grapefruit in half, use a knife to cut around the inside of each segment and scoop each piece out with a spoon. I then squeeze all the juice out of each half of the grapefruit into my bowl and drink the juice. YUMMY!! The variety of gear (wetsuits, goggles, bikes, helmets, bike shoes, apparel, running shoes, etc.) available to athletes allow them to be comfortable (or as comfortable as possible) while training and racing. There are many different training plans and coaches that individuals use to help them arrive at the start line happy and healthy. All athletes are at different fitness levels, so a workout that pushes one person may be very easy for another or vice versa. Individuals have different mental capacities…some THINK they CAN’T, some THINK they CAN and others KNOW they CAN. Methods of recovery can vary from person to person…ice baths, foam rollers, massages, stretching, yoga, naps, amino recovery tablets, protein shakes, etc. People have different plans for race day execution…different pre-race routines, different nutrition plans, different race strategies, different mental focus, etc. Race day goals are different for everyone…some just want to finish and others have time goals. 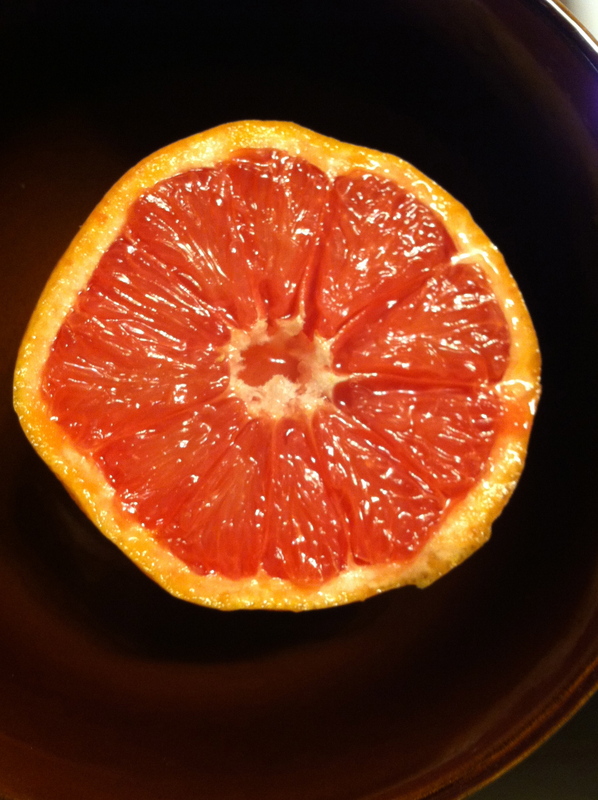 Since we are all unique individuals, we may eat grapefruit our grapefruit very differently, and have many different ways to cross the finish line of whatever race we choose to take part in. The ultimate outcome is hopefully the same for everyone…eat grapefruit and cross the finish line. So…How do you eat your grapefruit??? 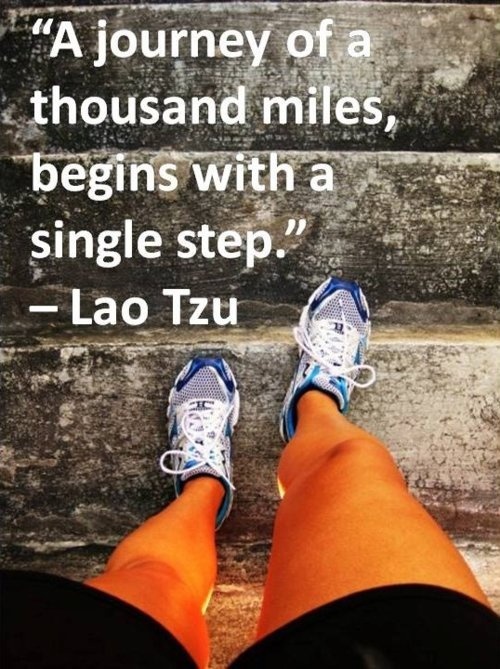 Sign up for races and set goals…I find that when I have signed up for my “A race” and set challenging, yet achievable goals, I do a much better job of completing my scheduled workouts. Blogging…I enjoy sharing my journey with others. The highs, the lows and everything in between. Knowledge is power…I enjoy learning from others and if others can learn from me, we are all empowered. Posting motivational photos and quotes around the house…I’m not sure what the Iron Hippie thinks of this when he wakes up and sees one posted on the bathroom mirror or refrigerator, but I change them out weekly to mix things up and keep us motivated. 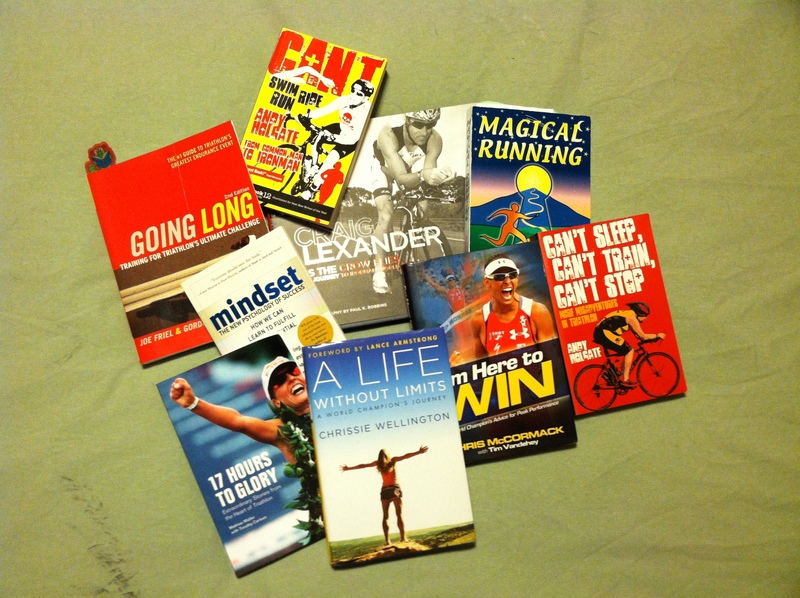 Books…I enjoy reading books about triathlon, running, mental training, personal autobiographies as they relate to training and racing, etc. They are inspirational, motivational and help keep me focused (both during training and racing). Motivational Money Jar…My husband and I each have a motivational money jar. How does it work? If I complete my scheduled workouts for the day, I put a dollar in my jar for each scheduled workout I complete (extra workouts don’t count). If I miss a workout, the dollar that was supposed to go in my jar goes into the Iron Hippie’s jar. I would much rather pay myself than him, so let’s get that workout done!! Here are our two motivational $ jars. Our names are on the tops of the jars. When we both finish a long, hard workout, it is easy for us to go out for dinner instead of cooking a healthy meal at home. This training season, we are focusing more on preparing meal plans and having left overs available in the refrigerator/freezer to quickly reheat after long, hard workouts. When one of us is in a crabby mood (from a hard training week, lack of sleep, stress, etc.) the other person gets the brunt of our bad mood. When we are both in full training mode, we both tend to neglect household chores until they MUST be done…laundry, dishes, cleaning the house, mowing the lawn, etc. Date night has often revolved around our workouts. This training season we have set aside Monday evenings for completing household chores and date night every other week. We have started to implement this now, so when we are in full IRONMAN training mode, it is already a habit. We have to coordinate with each other regarding multiple feats…our training and racing calendar, workouts, planning time to visit family and friends, letting the dogs out, planning and preparing meals, bed times, wake up times, etc. We spend a LOT more money when we are both training and racing…race fees, lodging at these races, food, sports nutrition, gear (extra tubes, CO2 cartridges, running shoes, apparel, etc. ), transportation to race events, etc. We both have a very good idea of what the other is going through during challenging training weeks, recovery weeks and the taper. We are both very aware of the importance of eating to train instead of training to eat…we help each other eat healthy and consume MASSIVE amounts of healthy foods…especially after challenging workouts or long training weeks. We both have similar training schedules (we use the same coach, who writes separate training plans for each of us, and she helps coordinate some of our workouts for us) since we are training for the same race. We are both gone for relatively the same amount of time each day to complete our workout(s)…our long rides are on the same day, our long runs are on the same day, etc. We are both much more conscious of going to bed early and getting enough sleep to help energize us for our next workout(s). We feed off of each other’s positive energy and support each other…if one of us is in a training slump, the other one is there to help motivate and encourage the other. We both help each other with the household chores…dishes, laundry, cleaning house, mowing the lawn, tending to the dogs, etc. We both understand the importance and advantages of mental preparedness…we communicate with each other to help each other find effective ways to prepare mentally for tough workouts and race day. We both can relate to the other’s obsessiveness in preparing for race day…laying out every possible piece of gear, nutrition, etc. a whole week+ in advance. We get to share in each other’s accomplishments and achievements…both during training and racing. 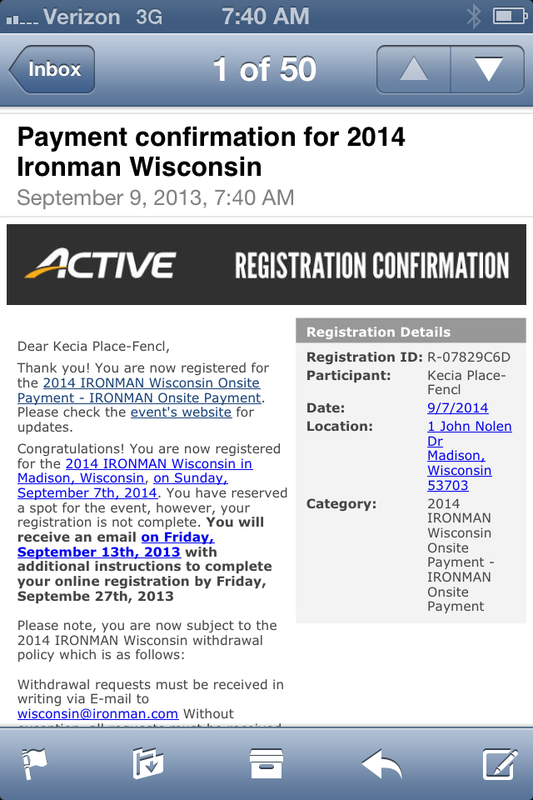 The Iron Hippie and I survived IRONMAN Wisconsin 2011…Time to do it better in 2014!! With the changing of the clocks due to Daylight Savings this weekend, it gets me thinking about the time of year when some people have more problems finding motivation and symptoms of depression spike…due to fewer daylight hours, the anticipation of winter, confinement during the colder weather, the stresses of the Holidays, midterm exams, too many hours at work, deadlines at work, financial stresses, etc. When the symptoms of depression start to rear their ugly heads, some people hibernate. 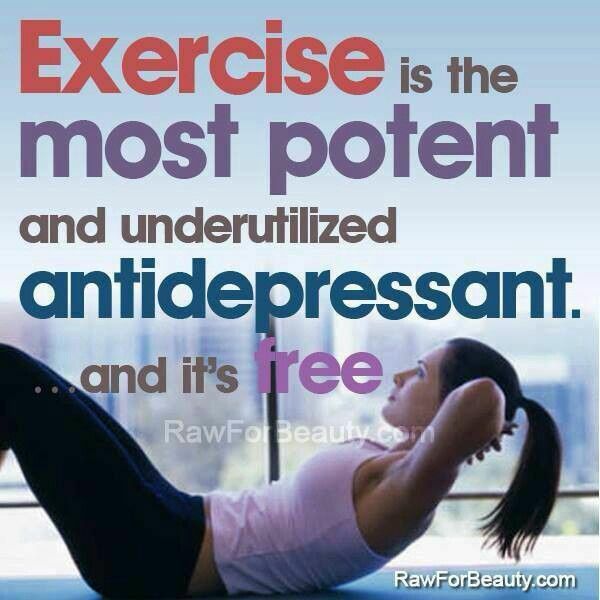 Working out helps combat symptoms of depression. When I swim, bike, run, strength train, sweat, push my body to its limits and beyond…the endorphins kick in and I am happy 🙂 I feel better about myself, my mood is 100 % better than when I started and life is great after a workout!! Many of us race so we can experience that “race high” at the start of the race when the gun goes off, the adrenalin kicks in and we get to enjoy what we have been training so hard for. We also experience that “race high” at the finish line knowing we have pushed our bodies to their limits on that day, overcome challenges, conquered another goal, completed another journey in our journey of life…Oh, the euphoria!! When we get into a slump, it is easy to just hibernate and let the emotions take over, but the best thing we can do for our mind, body and soul is to exercise. What choice will you make…hibernation OR exercise???? At about mile 12 I decided I wasn’t going to try to finish the 3 hours/20 miles. With my marathon only 3 weeks away and another 3 hour/20 mile run scheduled for this coming weekend, I decided this run was part of my journey and not my destination. With an accelerated heart rate and lack of appetite, I decided to play it safe and run/walk back to my car (which was still roughly 4 miles away). 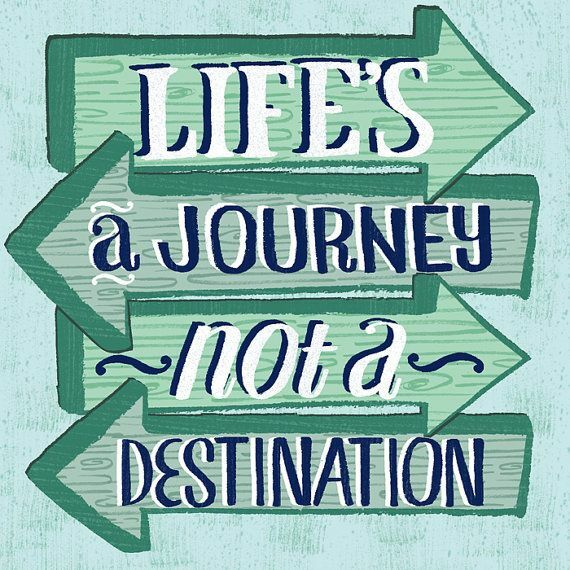 I consider my destinations to be the races I compete in, but they are actually also just part of my journey…the journey of life. Every destination is different, but they all start the same…with the first step. Q: Why do you participate in races? A: When I sign up for each race, I am at the beginning of a new journey. I am currently on a long-term journey to Ironman Wisconsin 2014 that will include a few short-term journeys along the way. 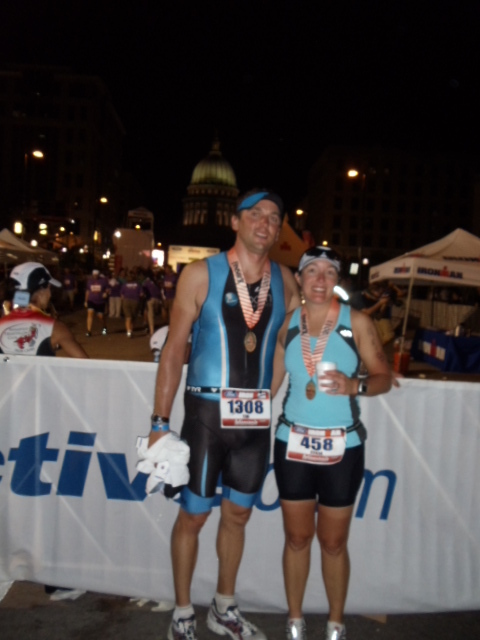 While I have finished Ironman Wisconsin before, I started it with the goal of “just to finish”…and finish I did…though I was hyponatremic and don’t actually remember the last 8 hours of the event. For this reason, it is time to go back and do what I am capable of with proper race execution!! I sign up for races to take me on another journey. 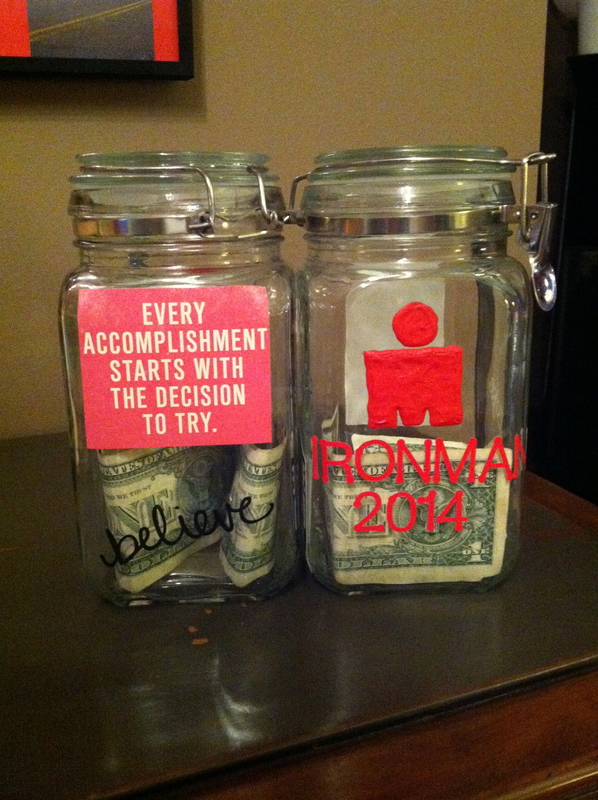 My Ironman journey will include multiple journeys (races) between now and September 7, 2014. The first of which is coming up in just 2 weeks…Ironman Kansas 70.3 on June 9, 2013. 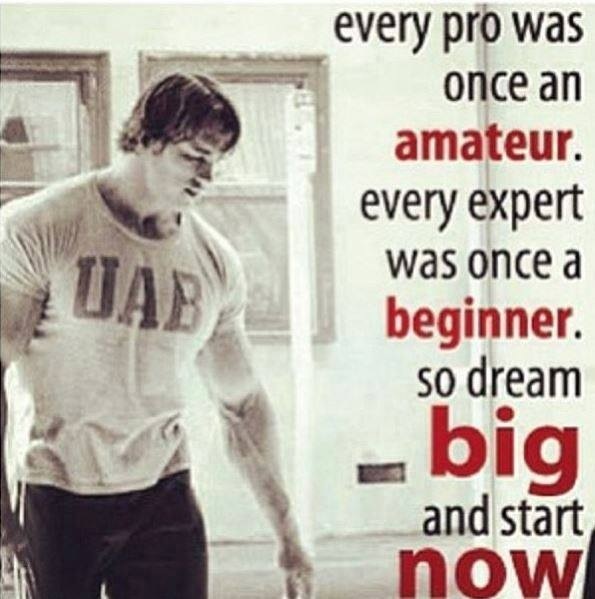 I have been mentally focused and my training has probably been the best it has ever been!! I have been VERY happy with both my physical and mental training lately!! I am going to do everything in my power to make sure that my current momentum will continue to carry me forward through Ironman Wisconsin 2014!! With Ironman Kansas 70.3 only 2 weeks away, this short-term journey is nearing the taper. I have created many posts about various workouts I have completed on this journey that you can find at pushmylimits.wordpress.com. With only a few more “big” workouts left before the taper, I am finding myself more ready than ever to properly execute my race and PR!! I am in the best shape, both physically and mentally, that I have ever been before…Let’s do this thing!! “Swim: You had a great swim at Chisago last year – that time would really please me again, maybe a minute or two faster (if the races have properly measured swim courses). GOAL: 42-43 min. “Bike: Kansas and Chisago have different bike courses, and I think the times you put up there were great for where you were then. We’ve worked a lot on cycling this season, and you’ve really improved. With the right mental approach (and staying focused throughout the bike leg – plus nutrition, etc), you should be able to average 16.5-16.7mph for the Kansas bike and closer to 17+ on a less challenging course. GOAL: 3:20-3:25 (for Kansas). 3:12-3:20 for other courses. I am focusing my training (both physically and mentally) on doing my absolute best and pushing myself to a PR!! I am very excited to see the results of the journey I am on and shattering my previous PR (6:32:44)!! I am anxiously awaiting my new PR of 5:59:59…or faster! !